Morrisons’ hefty foot long sausage rolls made headlines, boasting twice the amount of pastry and pork than you would expect to find in the Northern Favourite. Despite naysayers arguing the crimped nature of the snack meant it couldn’t be a true sausage roll, people couldn’t wait to get their fingers covered in all that mammoth flakiness. An unnamed Morrisons shopper from Chalk Farm, London couldn’t handle the lie any longer and has spoken out about the true size of the monolithic rolls. The keen eyed shopper couldn’t help but noticed the pastries looked suspiciously longer than advertised. Naturally, he bought five and measured them all at home to confirm his suspicions. 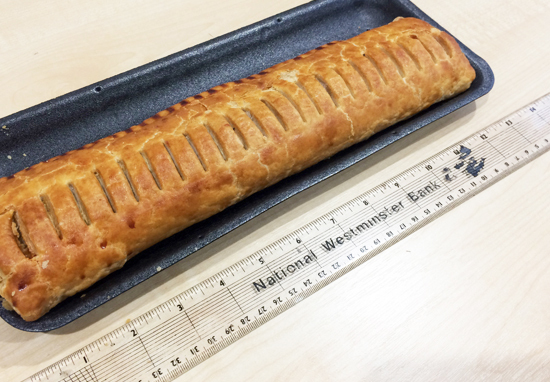 Yes, it turned out the sausage rolls were just being modest and were in fact an impressive 13 inches long. I was very hungry so decided to pick one up and split it in half. When I picked up the second half, to my eye it looked bigger than six inches. I had a fiver on me so I decided to buy some more and measure them – I was stunned but delighted that they all measured 13 inches. It’s not often in this day and age you get something for nothing. 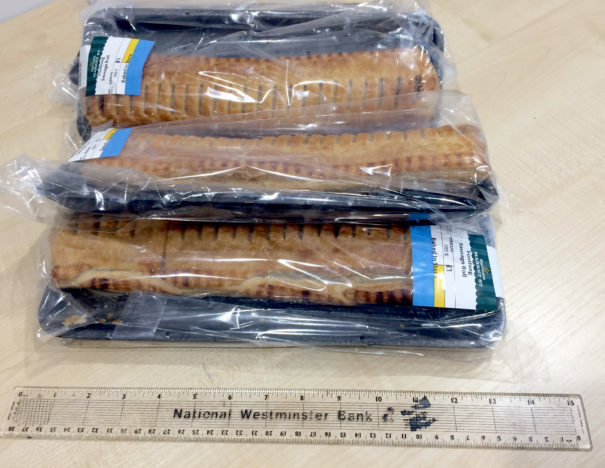 So if you weren’t convinced by Morrisons’ solemn proclamation that these are the longest sausage rolls ever to be sold in a supermarket, get ready to eat your hat.